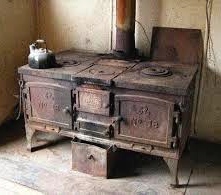 The hot-stove effect was first proffered by humorist Mark Twain. Throughout life, we should be careful not to overreact to painful experiences. Failures, embarrassing moments, and hurtful events – if not properly processed – can have an inordinate impact on our lives and dissuade us from “jumping on the stove” again. Carefully study and analyze all of your experiences and put them into proper perspective (even positive experiences, if not properly processed, can lead to unhealthy behavior). You may abandon a helpful technology because your first experience with it was distasteful. Some divorcees feign the thought of marrying again because of the hurt they sustained in a former marriage. Not being accepted into your school of our choice may discourage you from pursuing formal education. I have been a public speaker and teacher for 30 years, but two embarrassing moments in my early years might have derailed this aspect of my career. When I was eight years old I was asked (with no prior notice) to stand in front of my Sunday School class and pray aloud. I froze…awkward silence ensued…kids giggled…I was embarrassed. But the following week, one of my teachers took the time to meet with me and he spoke words of comfort and encouragement, helped me compose a written prayer, and coached me as I practiced reading it aloud in the same room where the nightmare took place, and he arranged for me to speak the prayer in the same Sunday School Class the next Sunday. All went well and I fully recovered from the debacle. My classmates were unmerciful. Unfortunately, no one helped me process what had happened; fortunately, I thought carefully about the incident by myself and decided that though it was a bad experience, it need not be a life-changing one. A wonderful way to love others is to recognize when they may be susceptible to the hot-stove effect and take the initiative to help them process the incident and put it into proper perspective. I will be forever grateful for my Sunday School teacher (I cannot even remember his name); he might have salvaged my future career. What? – We often misinterpret and overreact to painful experiences. So what? – You may suffer from the hot-stove effect, but you can recover. Now what? – Individually, identify and study your life-wounds – both small and large – to see if you have overreacted to them. Based on a more accurate assessment, adjust your thinking and behaviors. Look for opportunities to help other people negotiate their burned paws. Leaders – Consider how your organization may be suffering from the hot-stove effect. A good place to start is to analyze past failures and trauma. Great post, Don. How often do we fail to learn from the past! Thanks for the reminder to learn these life lessons only once. Thanks, Wayne, for sharing your thoughts. I recall a trip to Acapulco I took with some friends for our high school spring break.On the drive back to Texas one of us commented that “now I know how Jonah felt in the belly of the big fish”: I’m also grateful that that experience didn’t keep any of us from extensive travel in our adult lives. I do remember that trip through the interior of Mexico; it was uncomfortable at times, but, you’re right, it has not discouraged us from further explorations of the world. Thanks for the great encouragement, Don. It motivates me to be sensitive to those younger leaders around me that might need my encouragement. How thankful I am that God doesn’t just see who we are, but who we will become! You’re right. We need to be sensitive toward others who may be suffering from a hot-stove experience.